So far this December has been fun, busy, and full of projects! For some reason I have had a really hard time getting started on my December Daily. Which is weird because I have been waiting for December first so I could start it since like October! Hopefully today I get inspired and start driving on! One thing I have been doing (a tip for those of you have a hard time like me) is everyday take pictures and keep a journal of which pictures you want to use for each day. That way you don’t forget what you wanted to journal about. 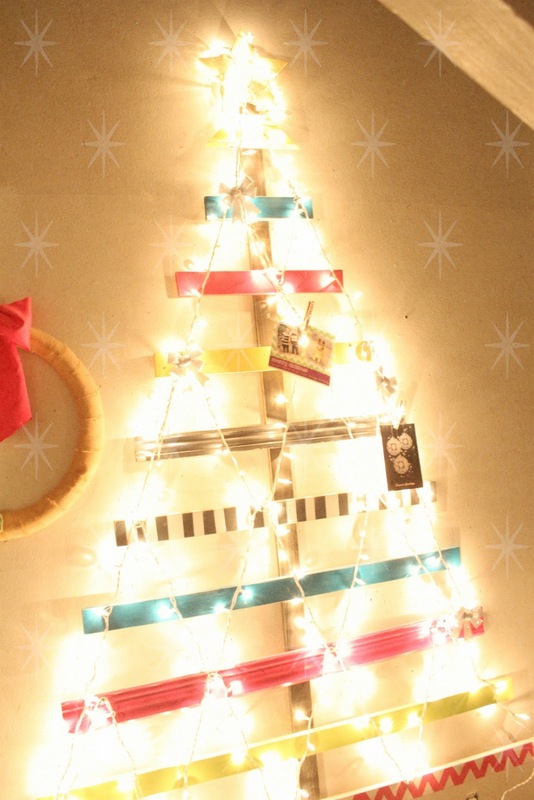 Here is a glimpse of a tree I made to hold all of the cards we receive. It was inspired by a photo I saw on pinterest. Using old wood and cut offs of crown molding my husband had laying around I painted each one different. Added a star and some lights and whala! A place to hang all my cards. Let the cards roll in! Such a cute idea!Keep your eye out for ours! !